Are you ready for a future where China will employ millions of American workers and dominate thousands of small communities all over the United States? Such a future would be unimaginable to many Americans, but the truth is that it is already starting to happen. Chinese acquisition of U.S. businesses set a new all-time record last year, and it is on pace to absolutely shatter that record this year. Meanwhile, China is voraciously gobbling up real estate and is establishing economic beachheads all over America. 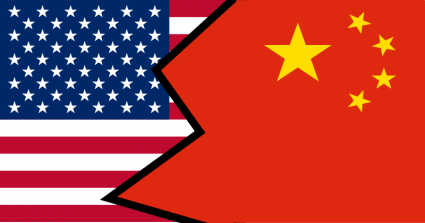 If China continues to build economic power inside the United States, it will eventually become the dominant economic force in thousands of small communities all over the nation. Just think about what the Smithfield Foods acquisition alone will mean. Smithfield Foods is the largest pork producer and processor in the world. It has facilities in 26 U.S. states and it employs tens of thousands of Americans. It directly owns 460 farms and has contracts with approximately 2,100 others. But now a Chinese company has bought it for$4.7 billion, and that means that the Chinese will now be the most important employer in dozens of rural communities all over America. If you don't think that this is important, you haven't been paying much attention to what has been going on in the world. Thanks in part to our massively bloated trade deficit with China, the Chinese have trillions of dollars to spend. They are only just starting to exercise their economic muscles. And it is important to keep in mind that there is often not much of a difference between "the Chinese government" and "Chinese corporations". In 2011, 43 percent of all profits in China were produced by companies that the Chinese government had a controlling interest in. Americans are accustomed to thinking of "government" and "business" as being separate things, but in China they are often one and the same. Even when there is a separation in ownership, the reality is that no major Chinese corporation is going to go against the authority and guidance of the Chinese government. The relationship between government and business in China is much different than it is in the United States. Over the past several years, Chinese companies have become increasingly aggressive. Last year a Chinese company spent $2.6 billion to purchase AMC entertainment - one of the largest movie theater chains in the United States. Now that Chinese company controls more movie ticket sales than anyone else in the world. At the time, that was the largest acquisition of a U.S. firm by a Chinese company, but now the Smithfield Foods deal has greatly surpassed that. But China is not just relying on acquisitions to expand its economic power. The truth is that "economic beachheads" are being established all over America. For example, Golden Dragon Precise Copper Tube Group, Inc. recently broke ground on a $100 million plant in Thomasville, Alabama. I am sure that many of the residents of Thomasville, Alabama will be glad to have jobs, but it will also become yet another community that will now be heavily dependent on communist China. If you recently purchased an "American-made vehicle", there is a really good chance that it has Chinese parts in it. The Tennessee Conservative Union began airing an ad Tuesday that says lawmakers have failed to protect the state's scenic mountains and are allowing the "Chinese to destroy our mountains and take our coal…the same folks who hold our debt." And this is actually already happening on a much smaller scale in this country. For example, as I have written about previously, a Chinese company known as "Sino-Michigan Properties LLC" has purchased 200 acres of land near the little town of Milan, Michigan. Their stated goal is to construct a "China City" that has artificial lakes, a Chinese cultural center and hundreds of housing units for Chinese citizens.